Last night I was over the moon to attend the launch party for the new Lost Rivers Brewing Company bar on Old Street which is opening this weekend (ie. tomorrow Saturday 17th March) and they are going to be serving up a vegan FEAST! 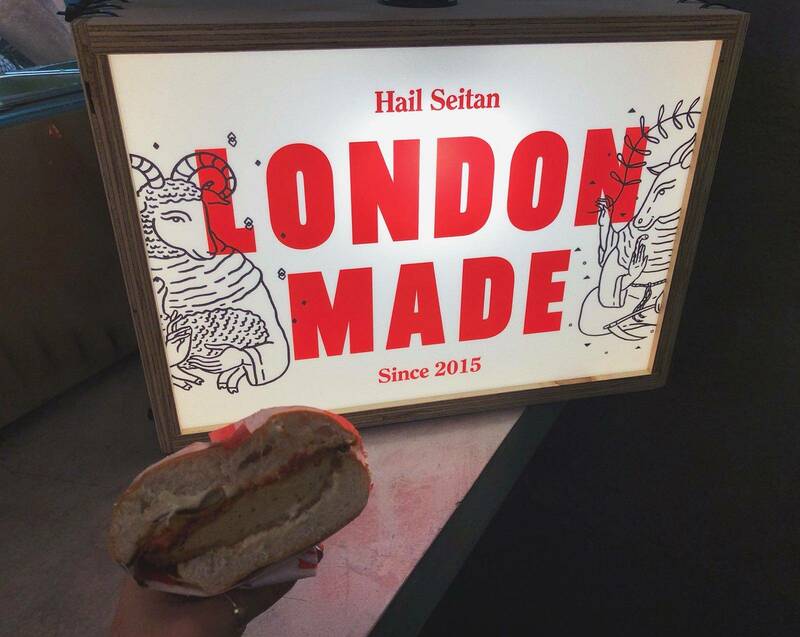 With the help of London events company BLAX-UK, Lost Rivers will now host a Temple of Seitan kitchen residency (more about them here) – making it even easier for the vegans in/visiting London to get their fix of Seitanic goodness. There’s also dessert options in the form of Black Milq (prev. 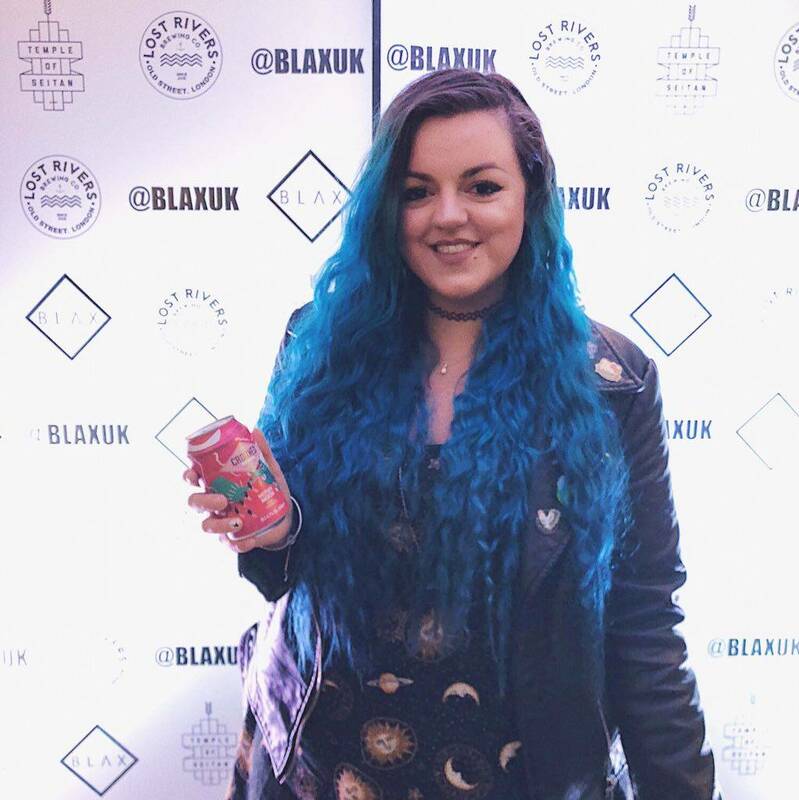 Black Mylk) – which Lost Rivers are the exclusive UK stockist for. The food you find here won’t be your usual Temple of Seitan burgers or two pieces that can be found in the other Temple locations. The affectionately named ‘Seitanic Laboratory’ kitchen at Lost Rivers Old Street will be creating new and unique dishes and concepts that have never been seen before. The first, and perhaps most exciting creation from the collaboration (especially for former meat eaters) are the BBQ RIBS, served on a ‘seitan bone’. Having never tried meat of any kind before I was dubious about trying the “ribs” because how weird was it going to be to try and eat something off a bone-like thing? That being said the bone is actually edible too and is made from hardened Seitan and filled with a thin layer of Marmite (although as a hater of Marmite the flavour was not overpowering or strong). The ends of the “bone” were crunchy and chewy, meaning some parts of the “ribs” are a little harder to eat but the middle section where the “meat” was, was softer and more supple to nibble on. Although a bit weird at first, the ribs were pretty good – my only qualm is that I wish there was another “rib” in my serving and I definitely didn’t need that many chips! I’m not usually overly keen on BBQ flavours either but the sauce was so good I found myself savouring every mouthful. 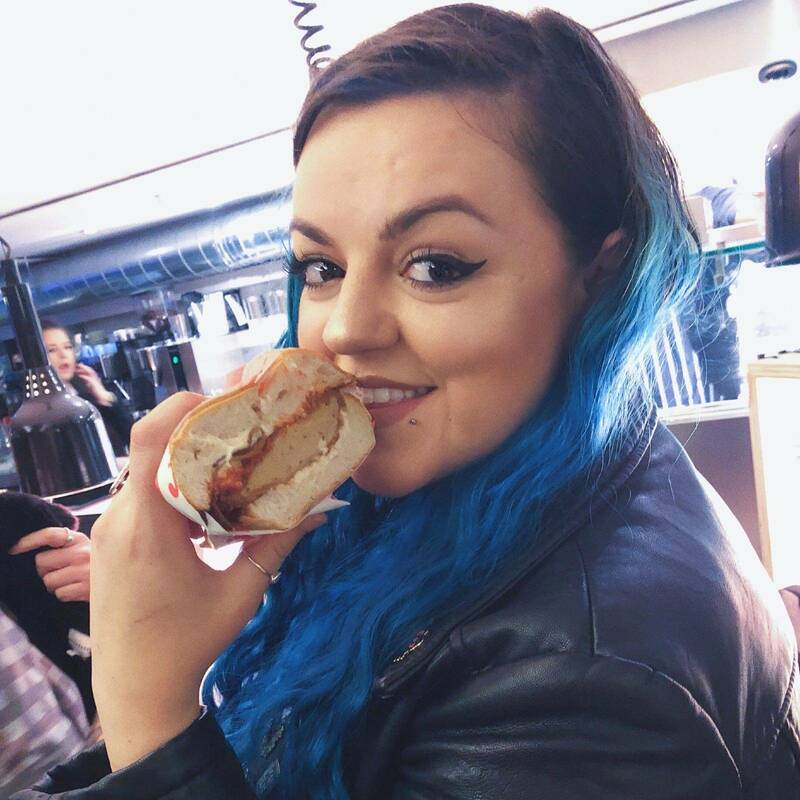 The other food on offer included a second exclusive: the Chick’n Parma Burger and let me tell you something, eating this was a wonderful experience. Combing two of my favourite things: Italian flavours (cheese) and Seitan chicken. Inside the soft bun alongside the chick’n piece that was covered in bread crumbs there was melted, grated (vegan) cheese, and tomato sauce (you know the amazing kind that is a little bit lumpy and tastes oh so fresh?). I’m pretty sure there were some other tasty things in there, but I’ll be honest I had had a couple of drinks by this point so I’m not 100% sure. I’ll update this blog accordingly once I find out! 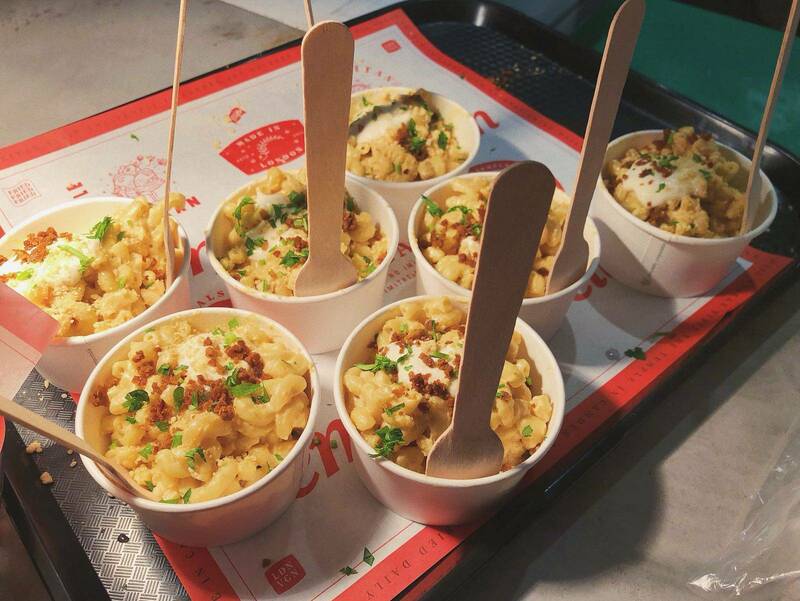 They also served two other dishes which can be found in the other Temple of Seitan locations: the Temple Deluxe Beef Burger which had a spicy kick, as well as their incredibly realistic Vegan Mac + Cheese. The latter being something I get every time I visit without fail because it’s just so damn good. For dessert we got a scoop of Black Milq’s non-dairy Ice cream. I went for the “Honeycomb and Pine Nut” flavour, and oh my goooooodness it was just the right amount of indulgence. 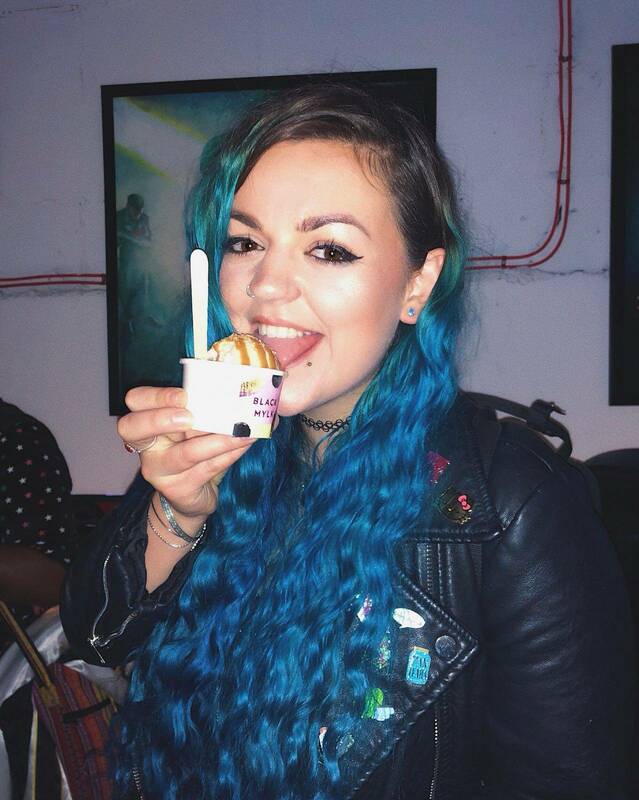 The dairy free ice cream is designed to “delight the senses”, using cashew nut milk and coconut milk, which creates an incredibly rich and creamy dessert that took me a while to finish because it was just so rich. There was a range of vegan friendly free drinks on offer too, including prosecco and beer (two of the Lost Rivers Brewing Co. beers are safe for vegans – check which these are before ordering though! ), and Alcoholic Sodas from Crooked Beverage Co. These are a fairly new drinks company on the scene as far as I’m aware, but I’ve seen them pop up at a whole range of events over the past 6 months or so. They’re super easy to drink and so delicious, the flavours include: ‘Dayglo Skies’ Raspberry & Lime, ‘Midnight Stage’ Blood Orange & Passion Fruit, and ‘Mother Moon’ Peach & Pomegranate. I swear everytime I have one my favourite flavour changes. 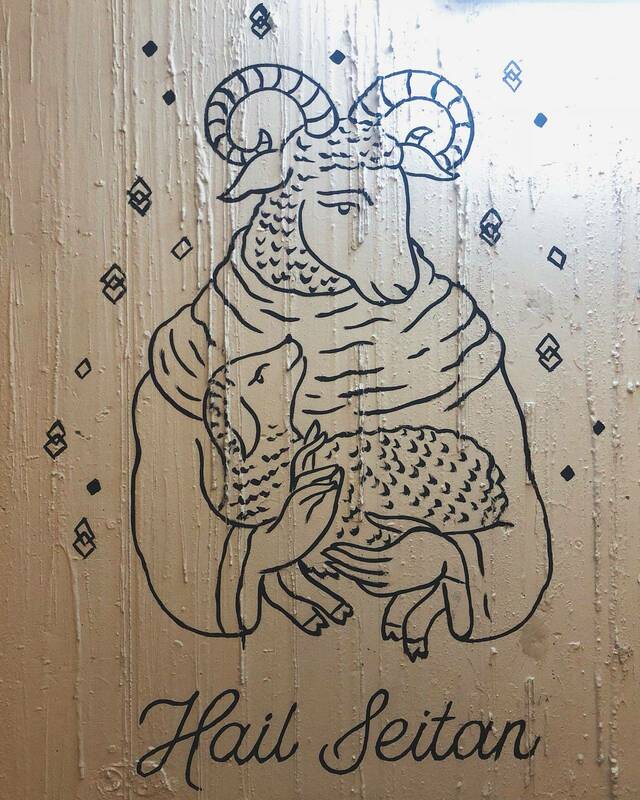 I remember the first time I saw the Temple of Seitan sign at a Vegfest, it was October 2015 – I was still Vegetarian and this point and was gearing up to do Veganuary. The queue for the stall was easily a hundred people long – all waiting for some of the Temples famous vegan chicken that they prepare so deliciously. 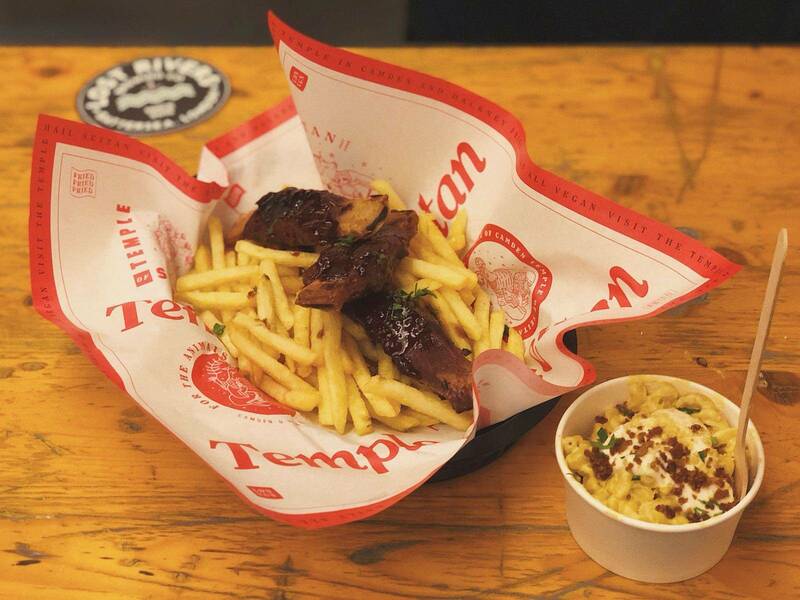 Temple of Seitan (check out their website here) have gone from strength to strength over the past couple of years, from being a pop up at vegan food festivals to now having 3 locations in London – two of which opened just this year within 6 weeks of each other! As well as the original Temple of Hackney, there’s a Temple of Camden (/Kings Cross), and now this kitchen at Lost Rivers! Veganism is a huge trend this year, and (although I know some vegans are finding this frustrating with demand for specialised products being higher) I’m super excited about it all. 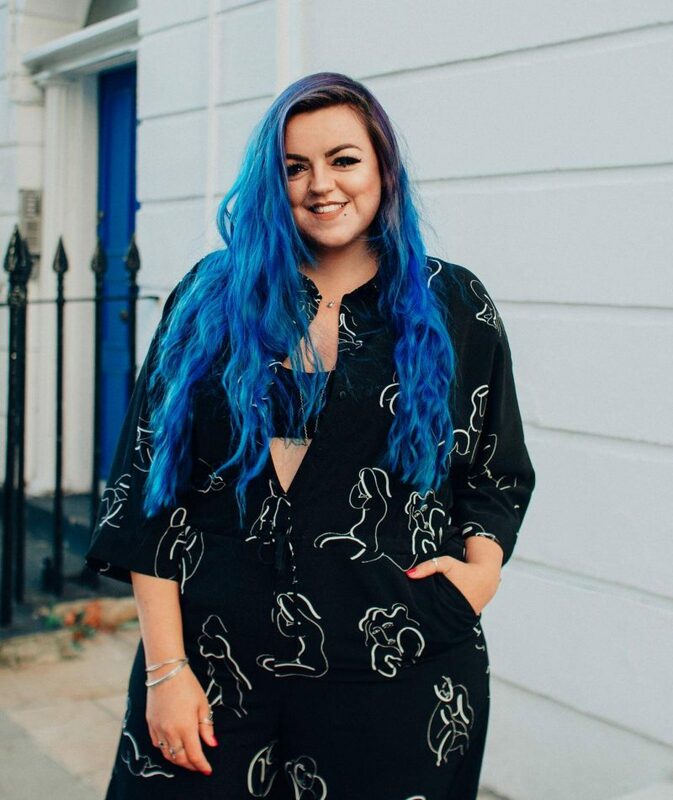 More wonderful places like this are opening, a wider range of restaurants are accommodating, brands are bring out vegan options – More demand means more companies creating new and wonderful dishes and ultimately less animals being tortured and killed for the sake of humans taste buds – and isn’t that a great thing. If you want to see some fun video clips from my evening at the launch party (including a video I filmed *as I tried* the Seitan ribs) find me on Instagram @luisachristie and click on the highlight reel called ‘SEITAN’. 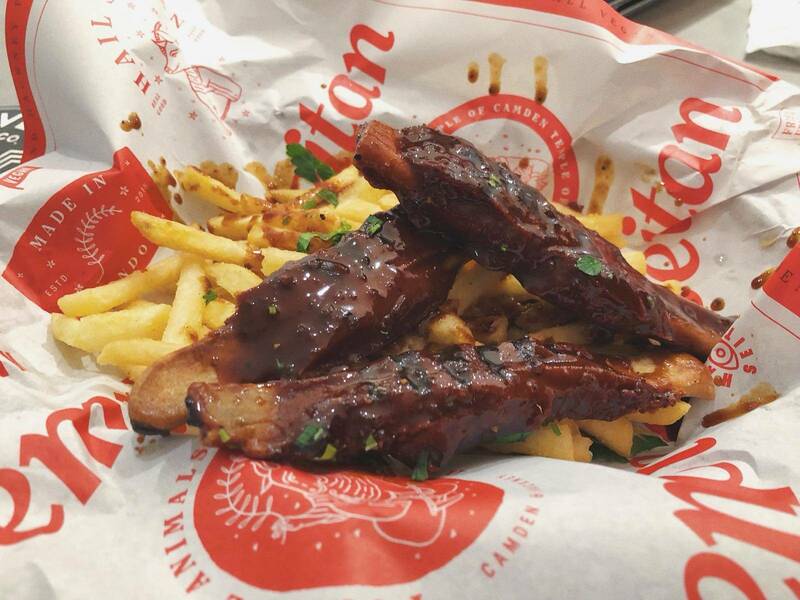 Those ribs look bloomin’ gorgeous. They remind me of Freddie’s from House of Cards. I saw another blog post about Seitan recently – thought it was a cult of devil-worshipers at first (the name). Will have to get myself there sometime.